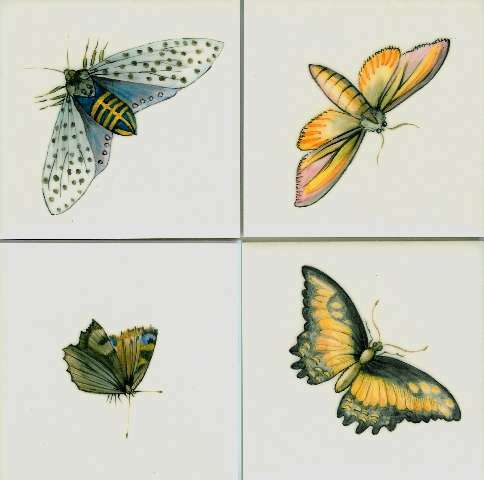 Here, we have hand painted butterflies and moths onto plain white 5" tiles. These would be ideal scattered amongst plain tiles in a kitchen or cloakroom. If you have a favourite insect that isn't here just give us a call. Bespoke hand painted tiles are all about having exactly what you want.